Even though the title showcases quite a lot of ingredients but the cake is quite simple to make. 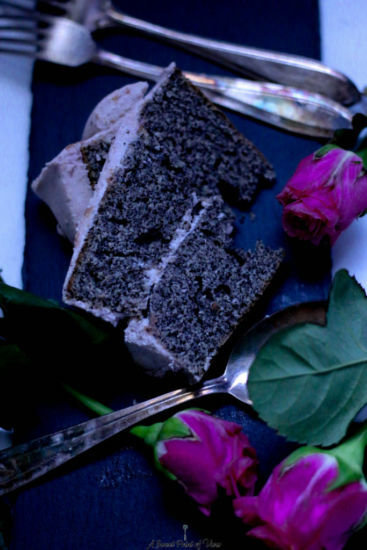 The combination of poppyseeds, strawberries, elderberries and Rose cream are super harmonic. Roses on the other hand are a bit of a tricky ingredients similar to lavender. If you add to much it reminds you of soap or your grandmothers rose cream. If you add to little on the other hand you just wonder what that wired taste is that you cant really distinguise. 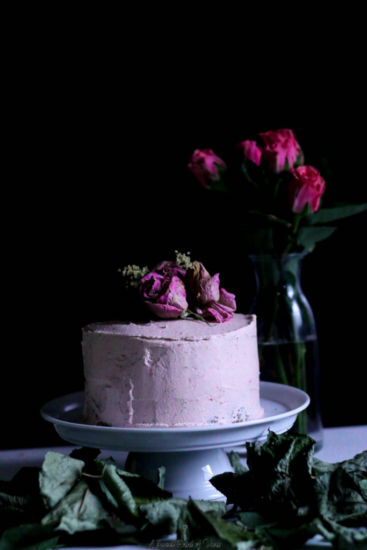 This cake was tested by family and friends and the vedict was quite different. Some tought the combination of Ederberries, strawberries and roses was great while others thought the rose taste was to overpowering. I used only two Tablespoons of Rosewater which is enough to get a great taste of roses but not to much. If the rose component is really to experimental for you you can just cross it out of the recipe, it doesnt change the consitency of the cream. The Elderberry Sirup is 100% vegan and suprisingly it was hard to find a vegan sirup. This one is by Mauntner Markhof a small austrian label producing vegan and sugar reduced sirups for diabetics. Because of the sweetness of the sirup I didnt add any additional sugar to the cream. 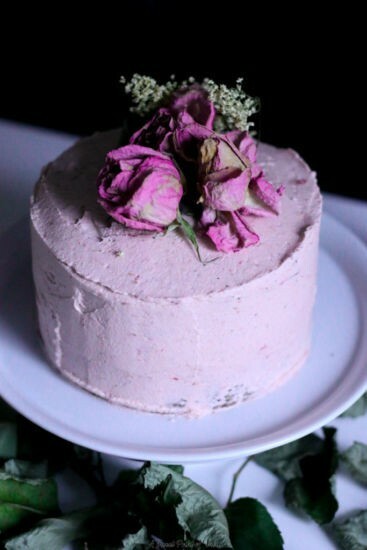 For all rose lovers and experimentalists this cake is perfect for everyone else leave out the rose water and enjoy.